With Cincon continued focus on the development of Railway application market, we are here to introduce our latest product design, the DC/DC CHASSIS MOUNT CQB50W12-72S CMFC(D) Series. 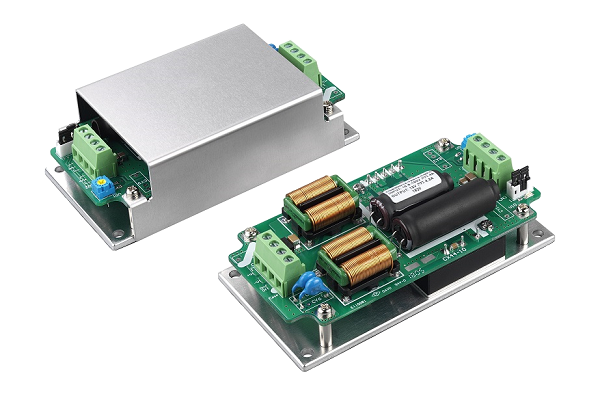 With a wide 10:1, 16.8~160Vdc input range, this new product is chassis mountable DC-DC converter offers 50 watts of output power @ single output voltages of 5, 12, 24, 28, 48VDC and 3000VDC basic isolation. It has a very low no load power consumption requirement of 8~12mA. Efficiency can go as high as 89%, and has a case operating temperature of - 40°C to 100°C. Other features include remote on/off (positive or negative) and -20~+10% adjustable output voltage. The chassis structure offers built-in EMI EN50155, EN50121-3-2 filter, and meet EN45545-2 requirements for the essential railway market needs. Also, it meets UL60950-1 & IEC60950-1 safety.